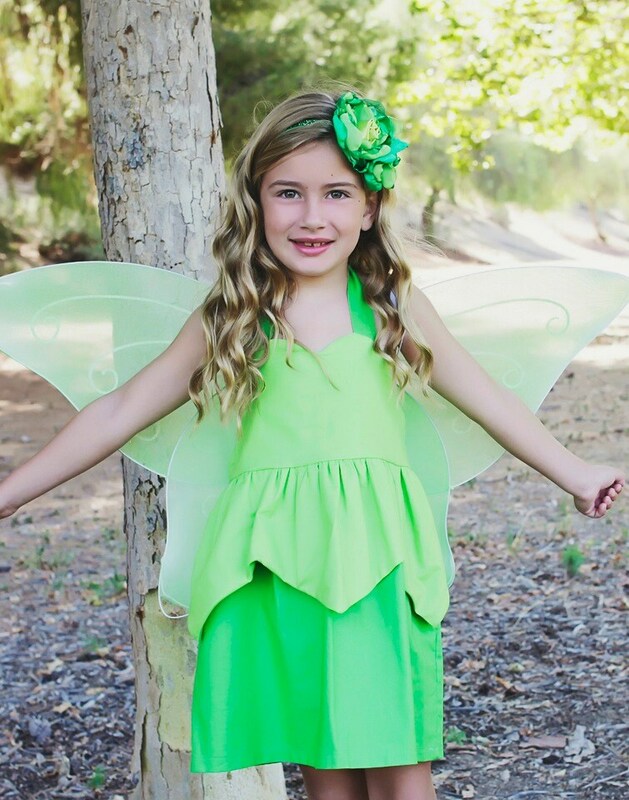 Brave, inventive, resourceful, and kind - Just like Tinker Bell. All she needs is a little pixie dust! Tinker Bell is so popular, starring in Peter Pan, Return to Neverland, Tinker Bell and the Great Fairy Rescue, Tinker Bell and the Lost Treasure, and Secret of Wings! She can wear this outfit for her birthday party, Disneyland & Disneyworld vacation, the first day of school, or simply to run around at the playground! *Wings not included, and not for sale. They were purchased at a local Halloween Costume shop.